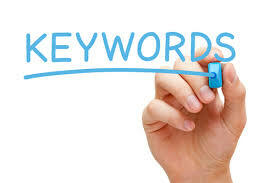 Keywords are extremely helpful in your SEO. Optimize your content and use your keywords to help promote your pages. Make full use of keywords. Keywords help Google directly relate searches to the content on your site. Make good use of them as appropriately as possible. Be sure to use them in your blog post content and include them in text links and even your domain name. Use keywords early on. Using your keywords within the first 100 words of your page is ideal. This will help Google immediately know what your page is about when correlating it with user searches. Don’t overuse keywords. It’s important that you make use of keywords throughout your content, however, don’t overuse them. Keyword filling is looked at unfavorably by search engines as well as readers, so let them fall into the natural flow of your writing. Use keywords on your images. Put your main keywords on ALT attribute within your images. You’re using ALT attribute to describe your images, and this will help the search engines to easily read your content, and in turn boost your search rankings.